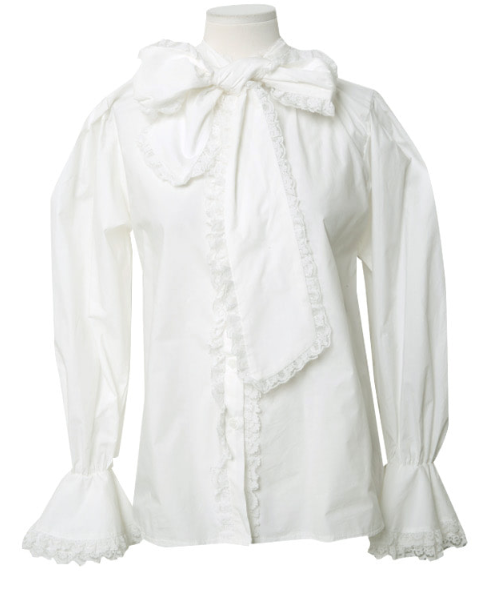 Elegant meets casual in this Bow Neck Lace-Trimmed Blouse. With its bow neck, puff sleeves, and lace trimmings, this versatile top exudes a classic vibe that can easily be styled with other pieces to suit the current trends. Available in black and ivory, this blouse can be worn with straight-cut jeans matched with a pair of sneakers.